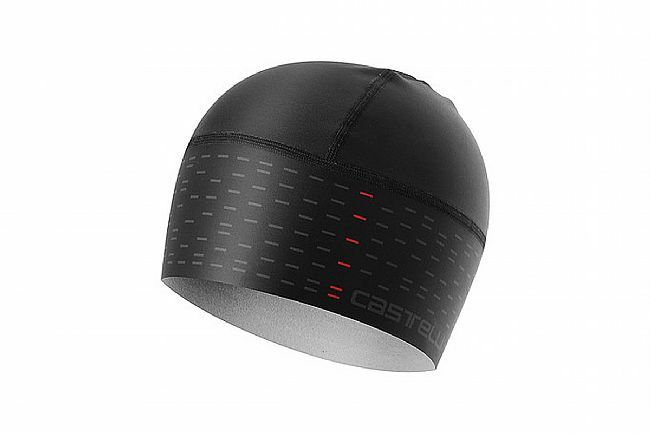 The Arrivo 3 Thermo Skully from Castelli features Thermoflex fabric and raw-edge construction. This combination allows the Arrivo 3 to add minimal bulk under the helmet, while maximizing thermal insulation. Raw-cut edges lie flush with your skin for a comfortable fit, making this ideal for early- or late-season riding..
As others reviewers have mentioned the warmth this liner provides is surprising, for such thin material it is highly effective at keeping your head warm. I wear this with my vented summer helmet down to about 40 degrees with no problem, any colder and I would rather wear a balaclava.